Endotrophin is a cleavage product derived from the collagen VI(α3) chain. Collagen VI is expressed in a number of different tissues, but adipose tissue is a particularly prominent source for this extracellular matrix constituent. Mice lacking collagen VI are metabolically healthier due to reduced fibrosis in adipose tissue. Endotrophin seems to be one of the key players of collagen VI-mediated signalling effects, including its pro-fibrotic nature and chemoattractant properties for macrophages, while also playing an important role in cancer progression and the chemoresistance of tumour cells. The glucose-lowering class of thiazolidinediones (TZDs) that mediate their action through the nuclear receptor peroxisome proliferator-activated receptor (PPAR)γ also exerts important effects on endotrophin by reducing the transcription of parental collagen VI molecules. As with many other pharmacological interventions, there is a range of responses observed in a diabetic patient population. In this issue of Diabetologia, Karsdal and colleagues (DOI: 10.1007/s00125-016-4094-1) demonstrate that baseline endotrophin levels offer excellent predictive values to indicate individuals who will show an optimised response to TZDs with respect to the lowering of HbA1c and reduced risk of adverse side effects. The identification of a predictive biomarker for optimal responders is an important step in highlighting the continued viability of TZDs as an effective glucose-lowering class of compounds. Kai Sun, Jiyoung Park and Min Kim contributed equally to this commentary. The peroxisome proliferator-activated receptors (PPARs) are nuclear hormone receptors. There are three subtypes referred to as PPARα, PPARβ/δ and PPARγ. They exert their main roles as transcription factors, regulating cell development, differentiation and metabolic homeostasis. Specifically, PPARγ is widely expressed, but best known as a master regulator of adipocyte differentiation and most abundantly present in adipose tissue . Endogenous ligands for PPARγ have been reported , but the most widely known ligands are the synthetic thiazolidinediones (TZDs). TZDs are effective PPARγ agonists  and were extensively used for the treatment of type 2 diabetes. Their recent use has been somewhat more limited because of some purported side effects . TZDs improve insulin sensitivity by attenuation of lipolysis , thereby reducing plasma NEFA levels , reducing oxidative stress  and inflammation , and increasing adiponectin  and fatty acid uptake . They also promote an overall healthy expansion of the subcutaneous adipose tissue that serves as an effective lipid sink. Although many effects of TZDs are mediated by PPARγ, there is reason to believe that TZDs can also exert functions independent of PPARγ . Over two decades, TZDs have been extensively studied with regards to their targeted responses, as well as unwanted side effects. Furthermore, there is significant variability in the clinical responses to TZDs. Little is known about this variability in the clinical response to TZDs and what mechanisms are responsible for the differential outcomes. On average, 30% of diabetic patients do not respond properly to treatment with TZDs; in these individuals, these drugs fail to lower HbA1c and fasting glucose levels. Suter et al demonstrated that troglitazone can improve insulin resistance with a response rate of 73%, although only a small group was studied . According to Igarashi et al, eight out of 23 participants were non-responsive to pioglitazone treatment. They found that BMI, immunoreactive insulin and HOMA-IR indices were markedly higher in the pioglitazone-responsive group compared with non-responders. In addition, atherogenic factors, such as LDL-cholesterol and remnant like particle cholesterol (RLP-C) levels, were higher in responders . Similarly, the response rate was only 57% in 70 Japanese individuals with type 2 diabetes, as observed by Satoh and colleagues. These authors suggested that adiponectin could be a factor which determines the TZD response , consistent with data obtained in rodents . Sears et al reported that 25% of insulin resistant patients were TZD non-responders. Non-responders exhibited blunted insulin-induced expression of hexokinase 2 (HK2) and pyruvate dehydrogenase kinase 4 (PDK4) . What we conclude from these studies is that there is a great need to determine the individuals who may respond vs those who may not respond to TZDs to prevent unnecessary exposure to the drug, avoiding excess costs and potential side-effects in patients without any health benefits. Collagen VI is one of the major extracellular matrix (ECM) proteins secreted from adipocytes. It is composed of three major polypeptide chains, α1, α2, and α3, which are encoded by distinct genes (COL6A1, COL6A2, and COL6A3, respectively). Additionally, three collagen VI subunits, α4, α5, and α6 chains, have been identified based on sequence homology with the α3 chain [17, 18]. Each chain consists of a short collagenous domain linked by a variable number of von Willebrand factor type A (vWF-A) domains. In particular, the longest collagen VI polypeptide chain (the α3 subunit) can release its most C-terminal domain (C5) immediately after the secretion of microfilament tetramers to the extracellular surface. Interestingly, our recent findings indicate that this soluble cleavage product of the collagen VI(α3) chain, now referred to as ‘endotrophin’, is actively involved in various biological processes, such as inflammation, angiogenesis, fibrosis and epithelial–mesenchymal transition (EMT) in the context of cancer (Fig. 1). It also seems to play a critical role in obesity-induced systemic insulin resistance by increasing chronic inflammation and fibrosis in adipose tissues [19, 20, 21]. However, the detailed signalling pathways involved in these processes remain elusive. The levels of endotrophin are upregulated in the adipose tissue of both diet-induced and genetically obese mouse models [20, 21]. Importantly, we also recently established the upregulation of endotrophin in obese individuals . Of note, we found that rather than a simple correlation with obesity, obese patients with insulin resistance displayed higher levels of endotrophin than obese individuals with normal insulin sensitivity. This suggests that endotrophin may serve as a useful biomarker for the level of metabolic fitness during the development of obesity . The metabolic consequences of an excess of local endotrophin overexpression have been studied in different animal models . The findings indicate that endotrophin is not only associated with an unfavourable microenvironment in obese adipose tissue, but that it is also a driving force associated with a pathology that ultimately leads to systemic insulin resistance and other metabolic disorders . Specifically, we found that overexpression of endotrophin in obese adipose tissue stimulates fibrosis by upregulating ECM constituents. Moreover, through its potent chemoattractant activity, it leads to macrophage accumulation, resulting in an overall more enhanced proinflammatory microenvironment in adipose tissue. Both the pro-fibrotic and pro-inflammatory effects of endotrophin contribute to the metabolic dysfunction of adipose tissue, which in turn triggers systemic insulin resistance [22, 23]. How do the local pathological changes in adipose tissue, brought about by endotrophin, lead to systemic insulin resistance and generalised metabolic dysregulation? One of the contributory mechanisms may revolve around enhanced macrophage accumulation in the endotrophin-enriched adipose tissue. Macrophages are the major source of many of the circulating inflammatory factors in the obese state and are postulated to contribute to the development of insulin resistance . In addition, the enhanced local fibrosis induced by endotrophin causes significant mechanical stress, limiting the ability of adipose tissue to effectively take up and esterify NEFAs. Adipose tissue with elevated endotrophin levels rapidly dysregulates circulating triacylglycerol and NEFA, and eventually causes hepatic steatosis . Lipids thus start to accumulate ectopically in other tissues/organs, leading to a ‘lipotoxic’ environment that further promotes insulin resistance [24, 25]. We also observed that endotrophin-induced fibrosis leads to local dysfunction in brown adipose tissue, a process which may be a major mediator of the impaired ability to increase energy expenditure at the organismal level under conditions of elevated local levels of endotrophin . Given the many adverse effects of endotrophin on the health and metabolic processes in adipose tissue, inhibition of endotrophin action via pharmacotherapy may constitute an effective strategy to reduce fibrosis and enhance metabolic flexibility. In rodent models, we have demonstrated that a neutralising antibody efficiently reduces endotrophin activity under high fat diet conditions. As a result, the antibody-treated mice exhibited a significant improvement in insulin sensitivity . In this issue of Diabetologia, Karsdal and colleagues  provide a novel clinical assay in which they measure circulating endotrophin, a C-terminal cleavage fragment generated from the α3 chain of collagen VI. To date, very little is known about critical markers that may be available to identify drug response rates to TZDs. Specifically, the relationship between the response to TZDs and the level of ECM components is not well understood. In the present study , the authors divided participants into tertiles based on plasma endotrophin levels. They showed that serum endotrophin levels were positively associated with fasting glucose levels, as well as with HOMA-IR, triacylglycerol, adiposity and indices of fatty liver. This is the first report associating the levels of endotrophin with other metabolic variables in humans. 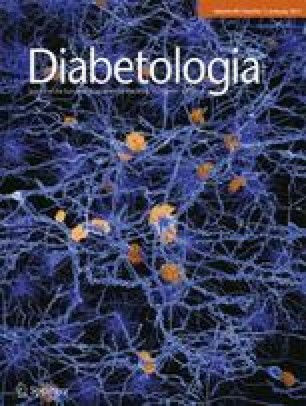 Indeed, these findings indicate that circulating endotrophin may be a useful additional indicator for the diagnosis of diabetes. In the present study, however, the most relevant observation relates to the fact that plasma endotrophin (most likely deriving from adipose tissue) can serve as a predictive biomarker for the response of diabetic individuals to TZD exposure . In the upper two tertiles of endotrophin levels, the authors observe a more drastic reduction in fasting glucose and HbA1c levels after TZD exposure than in individuals within the lowest tertile. This suggests that individuals with circulating endotrophin levels higher than 6.3 ng/ml are more responsive to TZDs (at least for the two compounds used here, pioglitazone and balaglitazone), while patients whose plasma endotrophin level is relatively lower at baseline do not respond well to these TZDs and may be better candidates for other glucose-lowering agents. In addition, in terms of adverse effects of the glitazone-based compounds, the incidence rate of peripheral oedema (considered a severe adverse effect [SAE]) was also related to endotrophin tertiles . Thus endotrophin levels may serve as predictive indicators of at least some of the side effects of TZDs. However, the authors were unable to show a relationship between endotrophin levels and other SAEs, such as heart failure and cardiac ischaemia, because of the limited size of the cohort. Subsequent larger scale studies are required to provide further insights into possible associations between endotrophin levels and some of these other adverse events of TZDs. Nevertheless, Karsdal and colleagues  provide an exciting new biomarker to allow for a more customisable choice of insulin-sensitising regimen for optimal results in individual patients with type 2 diabetes. How is endotrophin related to fibrosis? Collagen VI has been implicated in various fibrotic diseases, such as renal fibrosis, pulmonary fibrosis and hepatic fibrosis. In rodent models, collagen VI(α1) null mice (with a functional null phenotype for holo-collagen VI) are protected from myocardial infarction  and obesity-induced adipose tissue fibrosis [23, 28]. In line with this, endotrophin showed potent profibrotic properties in the settings of both cancer [20, 29] and diet-induced metabolic challenges . This suggests that endotrophin accounts, at least in part, for the collagen VI-mediated fibrosis that is observed in various fibrotic diseases. Fibrosis is a hallmark of chronic liver disease and is characterised by excessive accumulation and reorganisation of the ECM in the liver. Hepatic fibrosis is most successfully assessed using liver biopsies. When biopsy samples are unavailable for assessment, however, several biomarkers, including serum markers of liver function (i.e. alanine aminotransferase [ALT], aspartate aminotransferase [AST]), ECM synthesis (collagens, hyaluronan, glycoproteins), ECM degradation (matrix metalloproteinases [MMPs] and tissue inhibitor of metalloproteinases [TIMPs]), and fibrosis-related cytokines (TGFβ1, connective tissue growth factor [CTGF], platelet-derived growth factor [PDGF], IL-4, IL-6) and adiponectin offer a valuable assessment of the degree of liver fibrosis present, although none of these biomarkers are conclusive. Collagen VI has also been suggested as a biomarker for hepatic fibrosis, showing a strong association from early to late hepatic fibrosis . Consistent with this observation, we determined that endotrophin levels are significantly increased in liver biopsies from hepatic cirrhosis and hepatocellular carcinoma (HCC) patients, and our efforts are now towards determining the mechanisms of endotrophin-mediated hepatic fibrosis. Current data strongly supports the notion that endotrophin plays a crucial role in the pathogenesis of fibrotic disease beyond just being a biomarker of early fibrosis . Obesity-induced dysfunctional adipose tissue contributes to hepatic lipotoxicity, leading to non-alcoholic fatty liver disease (NAFLD) and non-alcoholic steatohepatitis (NASH), both of which are frequent comorbidities in obese and diabetic patients. Diabetic patients who suffer from NAFLD or NASH can, under some circumstances, develop severe insulin resistance compared with those who are free of liver disease. These individuals may also move on to develop HCC. Several pharmacological agents have been tested in the context of NASH in type 2 diabetic populations; these include insulin sensitisers, glucagon-like peptide 1 (GLP-1) receptor antagonists, dipeptidyl peptidase IV (DPP-IV) inhibitors and sodium-glucose cotransporter 2 (SGLT2) inhibitors. A very recent clinical study by Cusi and colleagues revealed that long-term treatment with the TZD, pioglitazone, leads to an improvement of hepatic fibrosis in individuals with impaired glucose tolerance or type 2 diabetes who also have biopsy-proven NASH . Strikingly, TZDs treatment induced downregulation of COL6A3 mRNA levels in the adipose tissues of obese individuals, giving rise to the hypothesis that the antifibrotic effects of TZDs in diabetic patients with NASH could be partly mediated by suppression of endotrophin activity. Endotrophin levels are significantly increased in human biopsies from various cancers, including cancers of the breast, colon and in pancreatic tumours. This suggests a role of endotrophin in cancer progression. This observation is strongly supported by experimental findings, using a mammary tumour mouse model (the mammary tumour virus-polyoma middle T antigen [MMTV-PyMT] transgenic mouse). Forced expression of endotrophin in the mammary epithelium in the background of the MMTV-PyMT mice dramatically increased both primary tumour size and pulmonary metastatic tumour growth. Endotrophin induced EMT and fibrosis through a TGF-β dependent manner. Additionally, it stimulated tumour stromal expansion to promote chronic inflammation and angiogenesis via recruitment of immune cells and endothelial cells to the tumour microenvironment. Importantly, reconstitution of endotrophin into collagen VI null mice in the background of MMTV-PyMT mice completely bypassed the usual phenotype of reduced tumour growth in these animals that is caused by the functional absence of holo-collagen VI microfilament formation, strongly supporting the notion that endotrophin is a strong tumour-promoting factor . Resistance to chemotherapy is a major drawback of cancer treatment. One of the main causes of chemoresistance is the process of EMT that cancer cells undergo. In ovarian cancer cells, collagen VI(α3) is one of the most highly differentially expressed proteins in cisplatin- or oxaliplatin-resistant cancer cells compared with those that are sensitive to platinum compounds . Our recent study revealed that endotrophin levels in mammary tumours were dramatically increased upon cisplatin treatment, leading to widespread cisplatin resistance resulting from stimulation of the EMT process in the cancer cells . To overcome resistance to platinum-based chemotherapies, a combination of cisplatin and TZDs has been trialled and was found to confer greater effectiveness in cancer treatment as compared with platinum monotherapy. Furthermore, we found that the beneficial effects of TZDs on cisplatin therapies were due to the marked reduction of the endotrophin levels . Consistent with this model, the inhibition of endotrophin activity via use of therapeutic monoclonal antibodies conferred cisplatin sensitivity in the mice. Therefore, we speculate that high levels of endotrophin in tumours are responsible for the reported beneficial effects of TZDs in chemotherapies [33, 34]. TZDs, including troglitazone, rosiglitazone, pioglitazone and ciglitazone showed an anti-tumour growth effect in preclinical studies, translated to beneficial effects in some clinical trials [33, 34]. We have now learned that TZD action in tumours is highly complex and is not necessarily correlated with PPARγ activation status. TZDs have been found to have a beneficial effect in prostate cancer and in gliomas, but the efficacy of TZD monotherapy in cancer is relatively low. However, a meta-analysis of data from clinical diabetes studies and also in vitro studies revealed that TZDs could be considered as chemosensitising agents in colon, breast and lung cancers. Most of the in vitro studies showed anti-tumour effects of TZDs when combined with chemotherapy agents [35, 36]. In humans, a beneficial effect was found in a subset of tumours, such as thyroid cancer, soft tissue sarcoma and melanoma, with combined treatment of TZDs and conventional chemotherapy drugs. The mechanisms underlying the effects of TZD on tumours are still elusive because of the complex responses elicited by TZDs in different cells and at different stages of tumour progression. So why do TZDs trigger such a complex response in different cancer types? A differential complement of transcriptional co-repressors and co-activators in different cell types is likely to contribute. Also, what factors determine the efficacy of TZDs on tumours? This is unknown but the availability of biomarkers such as endotrophin may be helpful for adjustment of the therapeutic strategy used on a case-by-case basis. While the crucial functions of endotrophin in metabolic dysregulation and tumour growth have been highlighted, our insights into the detailed mechanisms by which endotrophin exerts its actions are currently limited. Several questions remain to be addressed in future studies; first, what is the stepwise process that leads to the cleavage of endotrophin from its parental collagen VI(α3) molecule? This includes the time course of obesity development, the location of the cell compartment, the involvement of specific endopeptidase(s) and the exact cleavage site(s) in the parental collagen VI(α3) chain. Second, which cell surface receptors does endotrophin bind to activate downstream events, and what are the signal transduction pathways that endotrophin induces, leading to the pathological reactions in both tumours and adipose tissue? Finally, what levels of endotrophin accumulation occur in other metabolically active tissues/organs, such as the muscle, the liver and the heart, and what are the functions of endotrophin in these tissues/organs? Answering these questions will help us better understand how endotrophin exerts its functions in metabolically active sites, such as adipose tissue, muscles and tumours, hence offering us new therapeutic strategies to target this novel adipokine for the treatment of metabolic diseases and cancer. Most importantly, research in this area will shed light onto why endotrophin is such an excellent predictive biomarker for the overall glucose-lowering response to TZD treatment, as demonstrated by Karsdal and colleagues . The authors are supported by the National Institute of Health (R01-DK55758, R01-DK099110 and P01-DK088761) as well as a grant from the Cancer Prevention and Research Institute of Texas (CPRIT RP140412) awarded to PES. JP is also supported by a Korea Health Technology Research and Development Project grant through the Korea Health Industry Development Institute (KHIDI), funded by the Ministry of Health and Welfare, Republic of Korea (HI14C1277) and a Basic Science Research Program grant through the National Research Foundation of Korea (NRF) funded by the Ministry of Education (NRF-2014R1A1A2054914). KS is supported by a Pilot award from the Clinical and Translational Science Center (CCTS) at the University of Texas Health Science Center at Houston (UL1 TR000371). MK is supported by the Priority Research Centers Program through the NRF, funded by the Ministry of Education, Science and Technology (2010-0020224). PES is the recipient of a sponsored research agreement with Panamab, a therapeutic antibody company in Houston, TX, USA. All authors were responsible for drafting the article and revising it critically for important intellectual content. All authors approved the final version to be published.